Dr Ravinder Singh Rao has highest experience of TAVR in India of more 200 case and more than 350 cases (including US experience). He has performed highest TAVR cases in India across multiple centre’s and south-east Asia with highest success rate and with utmost safety. I successfully underwent TAVI at Eternal Hospital by Dr. Ravinder Singh Rao. Dr. Ravinder Singh Rao is a highly experienced doctor. He is friendly, transparent, understanding, caring and full of humility. TAVI / TAVR – The procedure, risks and it’s advantages for patients like me were explained beforehand. Eternal Hospital has great team for TAVI procedure led by Dr. Ravinder Singh Rao. The care that I received during my stay in hospital was excellent. The services provided by the hospital were also good. A very special thanks to Dr. Ravinder Singh Rao! 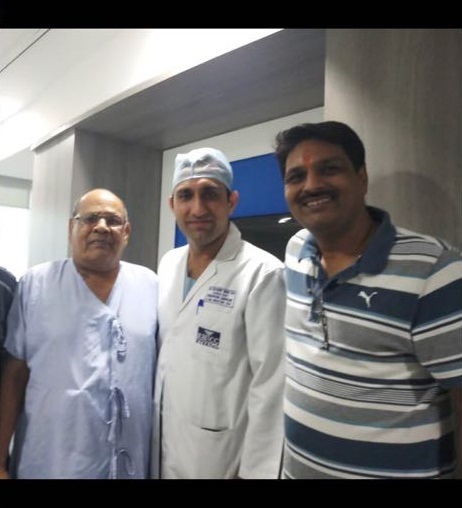 Mrs Lalwani, 65 Years Old patient underwent angioplasty with stent and TAVR in the same sitting . 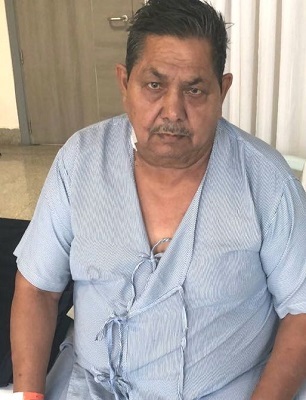 Both aortic stenosis and blockage were treated without open heart surgery . she was discharged in day 4 and flew to pune . she fellt the difference very next day when she could walk with more energy and had no discomfort. 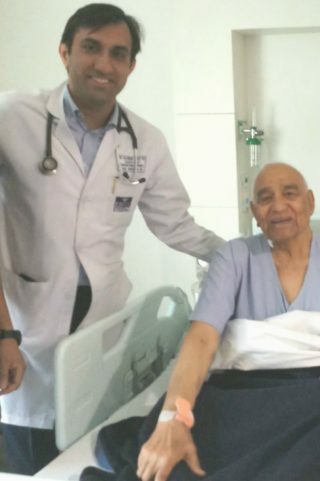 Mr Toshniwal 82 Years old came from Mumbai for TAVR. Underwent successful TAVR using sapien 3 valve and was shifted out of ICU on second day. Mrs Kanwar got a new life after undergoing a complex angioplasty. Before the treatment she had a massive heart attack. Her blood pressure was very low. Many cardiologist had said that the angioplasty cannot be performed and the bypass surgery was high risk. She was referred to Dr Rao for high risk angioplasty. 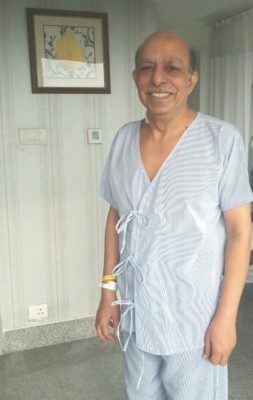 Dr Rao performed the high risk angioplasty and patient recovered remarkably. This is how she and her family feels after the miraculous recovery. My Mother Underwent the procedure of Transcatheter aortic valve implantation (TAVI) on 31/1/2018 under the care of Dr Ravinder Singh. Mrs. Lata Bhat was a very high risk patient, Having Co-Morbidities to (Lung disease, previous heart attack). But the entire procedure was carries out successfully by the team of Doctors. Dr Ravinder Singh Rao is an excellent doctor. I appreciate his expertise, concern towards patients. Before the Actual procedure he carefully did a detail study of each and every aspect of the case. 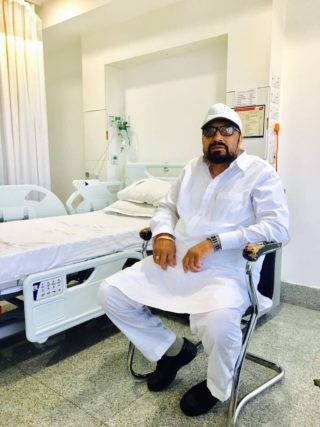 Other than being a good doctor, his caring and positive approach made the hospital stay very comfortable and pleasing for the patient and us. He is accompanied by a team of highly experienced doctor, who took a very good care of the patient. Mrs. Malaney, my daughter tina and i owe you immense gratitude for the smooth execution of the TAVR procedure. We were fortunate in falling in the care of your ‘top of the line hospital’ and your caring and ever smiling demeanor. All around there was sympathetic and patient friendly support during the procedure and post operative care. The well appointed room, and constant attention to the well being of the patient, was most comforting. Comforts giving Homely atmosphere. From the top Conseltent Dr Ravinder Singh Rao. For any information on services, please feel free to contact us.